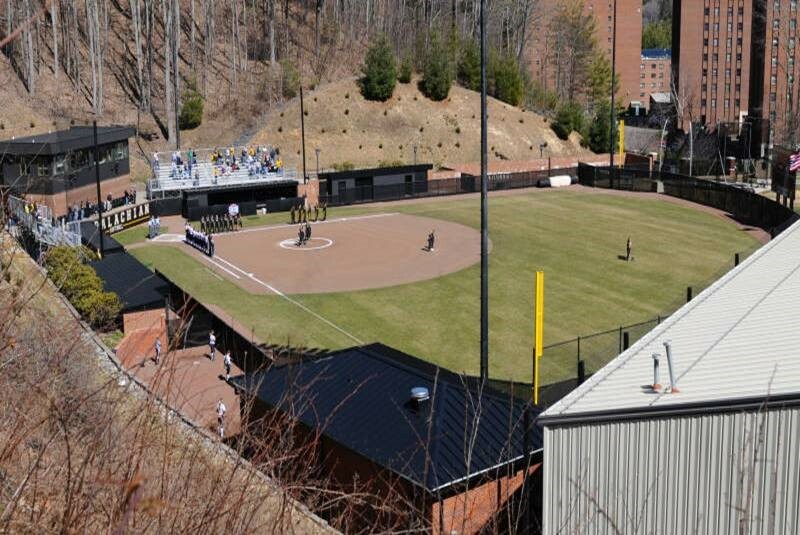 The Mountaineer softball team was experiencing numerous rain delays, scheduling issues, and rescheduling conflicts due to drainage problems in the existing field. Stewart was engaged directly by Appalachian State University to review and address the improper drainage and ponding which occurred during most rain events. Concurrent with a separate architectural project to upgrade the dugouts and add a field house, Stewart’s initial task was to perform a geotechnical investigation of the existing outfield and provide immediate recommendations for improvements. The existing soils were extremely poor and compacted. Our recommendation was to replace the outfield subgrade material with a USGA root zone mix and a properly designed underdrain system. With an extremely tight schedule, Stewart prepared bidding documents within 45 days so that the sod could be installed before November 15, the last day before the start of winter. The work included the removal of existing soil in the outfield and in specified areas of the backstop and side lines, installation of a new field drainage system, storm water network, Crimson Stone Ultimate Series to define heavily travelled areas, USGA root zone mix, irrigation system, new interior fencing and sod. The project also included other minor improvements to meet NCAA guidelines. The project was completed on time and within budget.